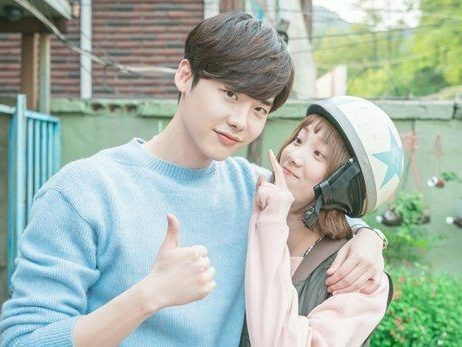 The idealistic Choi In Ha has her work cut out for her when she becomes a broadcast journalist, especially when she suffers from a condition known as “Pinocchio syndrome,” which makes her break out into hiccups whenever she tells a lie. Her rookie colleagues include Choi Dal Po, whose shabby appearance masks his true eloquence and sharp memory; Seo Bum Jo, a wealthy heir who has had everything handed to him in life; and Yoon Yoo Rae, whose fangirl knowledge comes in handy in covering the news. The 20-something newbie reporters pursue justice as they try to discover themselves in the process. I have watched this drama three years ago and never re watched it again so I don’t remember much now. I binge watched this drama and I was hooked. I don’t think there is anything that I disliked here. Lee Jong suk is a good actor and needs more dramas like this. I loved both the OSTs. Tiger JK is my favorite singer since then. Have you watched this drama? let me know in the comments below. I loved this drama! Especially because of the critical and accurate way they depicted the media and how they shape stories. It isn’t often that you find a series (korean or otherwise) that will openly say that the media manipulate the information they receive to follow the story they have already planned before even receiving the accurate information. I loved this drama 🙂 It took me forever to finish it for personal reasons but Lee Jong Suk won me over from the first minute to the last. Thank you for sharing your thoughts. I don’t remember much about this drama but I really liked this drama and how they have shown about the media too. I will have to rewatch this someday. Same here, I liked him in the both former and later hairstyles. I still remember his video for quiz show and Park shin hye’s reaction to it.